Description: Ensure your drinks are always just as warm or cold as you want them in these double walled thermo travel mugs. 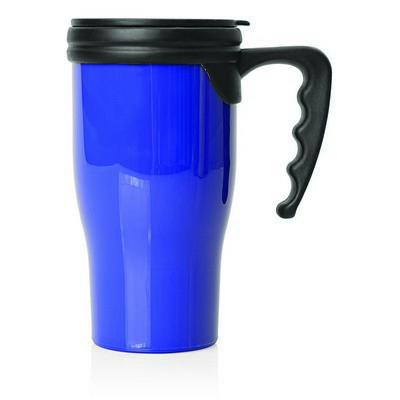 With sleek, BPA free, double walled design they make an active promotion effort. Colours: Blue. Materials: Plastic. Decoration Method: Pad Print. Price includes : Printed - 1 col, 1 pos. Setup is included.